Rainbow Six Siege has been pushed back to the end of 2015. 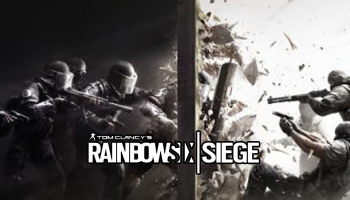 In a blog post today, Ubisoft announced a delay for Rainbow Six Siege, saying that they decided to make adjustments based on player feedback from in-studio playtests, the closed alpha, and event demos. The studio stated that "as gamers ourselves we know that quality comes first and we are committed to delivering the best game possible." The title, which was originally due to release worldwide on October 13, has been delayed in all regions until December 1. "This wasn't an easy decision, but based on the feedback we've received, and based on our own internal tests, we felt there are adjustments and improvements we can make, including improving the co-op experience across all game modes, weapon and gadget balancing, as well as menu and interface navigation," the blog post reads. "We're taking a little more time to make these changes, and we think it's the right call." "We understand that many of you are excited to get your hands on the final game, but as gamers ourselves we know that quality comes first and we are committed to delivering the best game possible." The closed beta for Rainbow Six Siege begins on September 24 as planned.